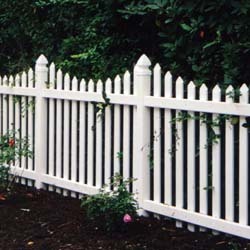 PVC fence is a low-maintenance alternative to wood, and is growing rapidly in popularity. 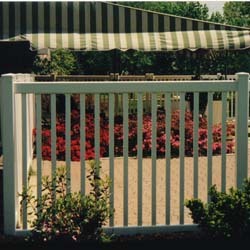 They are perfect for pool enclosures. They never need to be painted, and we guarantee that the finish will never peel or flake. 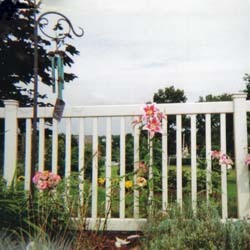 COLOR: All the below styles are available in white, ivory, wood grain, and clay colors. HEIGHT: All styles are available in the following heights: 36″, 42″, 48″, 60″, and 72″. 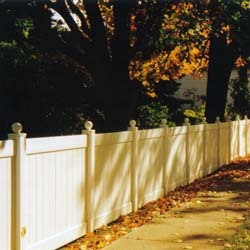 “New England” style PVC fence. 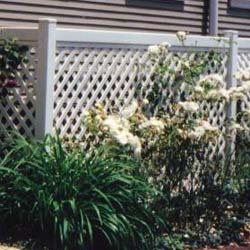 “Ramada” style, designed especially for pools. 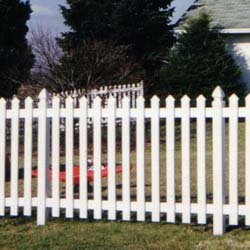 2-board Post and Board. 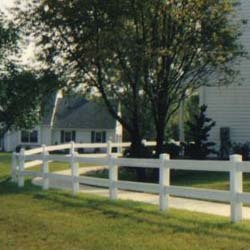 3-board Post and Board is also available. 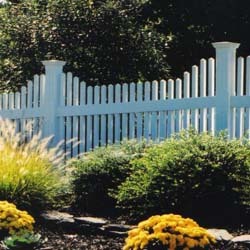 “Manor” Style shown with optional ball caps.